NASHVILLE – The Tennessee Bureau of Investigation released a new study today, detailing the volume and nature of crime on K-12 campuses across the state. The annual report compiles three years of crime data submitted to TBI by the state’s law enforcement agencies through the Tennessee Incident Based Reporting System (TIBRS). From 2015 to 2017, a total of 27,038 offenses were reported by Tennessee law enforcement agencies with a ‘School’ location code. The number of offenses occurring in school increased 13.5%, from 8,494 offenses in 2015 to 9,642 in 2017. Simple Assault was the most frequently reported offense, accounting for 37.4% of reported offenses. 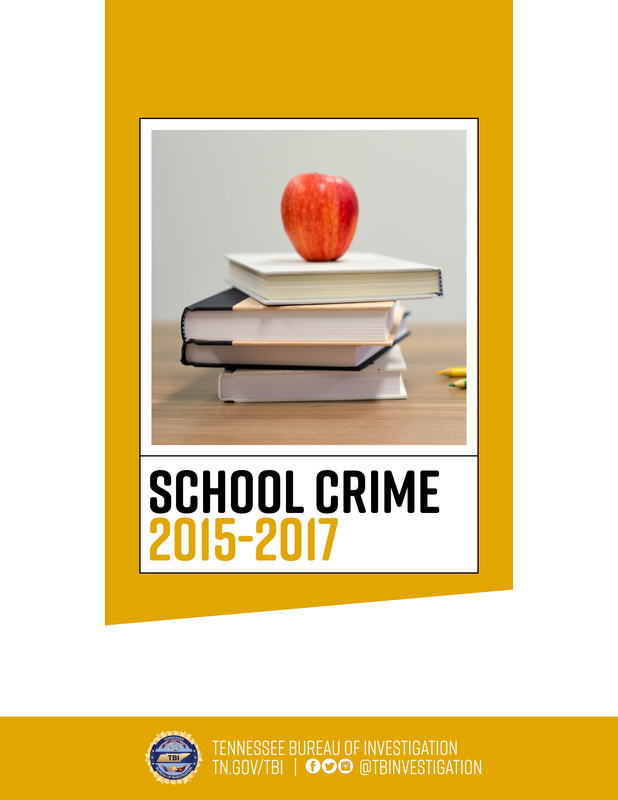 The month of September had the highest frequency of reported school crimes. While males accounted for 57.3% of offenders in reported offenses, females accounted for 52.8% of victims. The most common weapon type was ‘Personal Weapons (Hands, Fist, Feet, Etc. ),’ at 80.1%. As with all of its crime publications, the TBI cautions against using the data provided in these reports to compare one jurisdiction to another. The factors impacting crime vary from community to community and accordingly, comparisons are considered neither fair nor accurate. The full report is available for review and download on the TBI’s website: www.tn.gov/tbi.